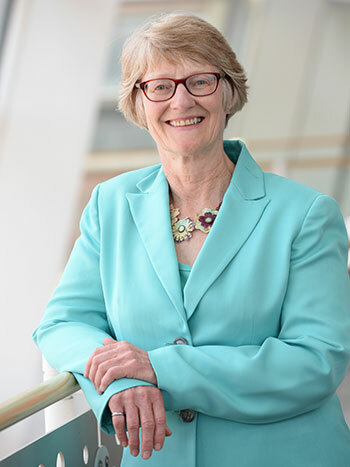 Sarah Rajala, dean of the Iowa State University College of Engineering, is the 2017 national recipient of the Meritorious Achievement Award in Accreditation Activities from the Educational Activities Board of the Institute of Electrical and Electronic Engineers. From the dean: Marston Hall officially comes back to life! With its majestic limestone facade and grand rotunda, Marston Hall has long symbolized the distinguished reputation of our world-class engineering college. This iconic building reflects our proud history and role in educating future generations of engineers. So it was an honor for me to help officially re-dedicate Marston Hall last month after a two-year renovation … Continue reading From the dean: Marston Hall officially comes back to life! Dean of the College of Engineering Sarah Rajala recently sat down to talk with the Iowa State Daily. Read about how her first month went, along with what she is hoping to accomplish in the future.